Design and monogram your own personalized set of handbags and leather goods. 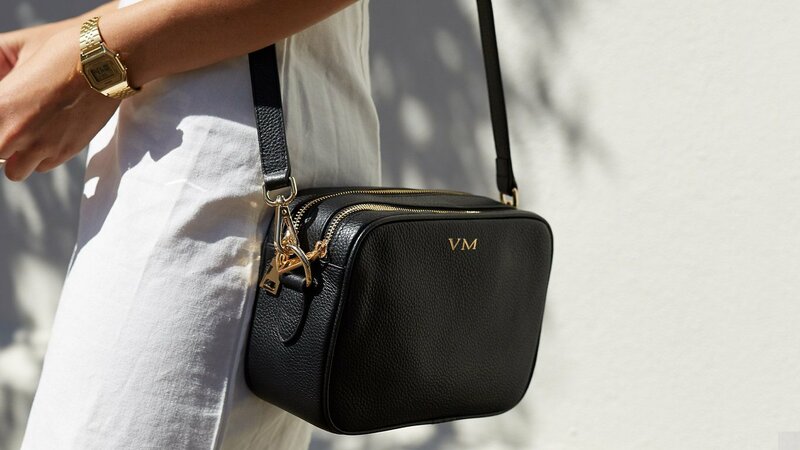 Mon Purse allows you to completely customise your wardrobe by selecting your leather, lining colour, metal detailing and monogramming for a variety of leather goods. From handbags, clutches, tote bags to key rings you could win the chance to design your own bespoke collection of accessories for every occasion. Entries open at 9.00am AEDT on 1 April, 2019 and close 11.59pm AEST on 5 May, 2019. Australian residents 18 years and over only. Limited to one entry per eligible member. Winner determined on 6 May at 11.00am AEST at Nationwide News Pty Ltd, 2 Holt Street, Surry Hills, NSW 2010. Winner’s name to be published on 13 May on the +Rewards website. Total prize pool valued at $1000. There is 1 x $1000 gift voucher to be won nationally by eligible +Rewards members from The Daily Telegraph, Herald Sun, The Courier-Mail, The Advertiser, The Mercury, NT News, Geelong Advertiser, Gold Coast Bulletin, Cairns Post, The Weekly Times or Townsville Bulletin. Offer excludes gift voucher purchases. Full terms and conditions apply. NSW Permit No. LTPM/19/04146. © 2019 Nationwide News Pty Limited. All rights reserved.